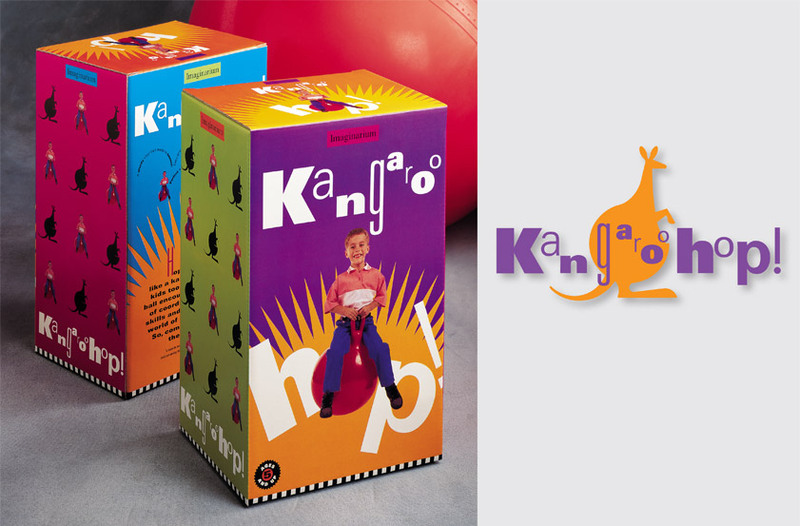 Gee + Chung Design: Imaginarium Kangaroo Hop! Imaginarium is a market-leading developer of learning and educational toys. The chain was seeking to establish its own brand in stores and a family look for Imaginarium-branded products. Our solution emphasizes the concept of fun by integrating the child and the product into the logotype itself, utilizing a starburst to convey energy. The box’s brightly colored panels provide a multitude of in-store display possibilities, while the checkerboard base provides a unifying family look for the Imaginarium product line.